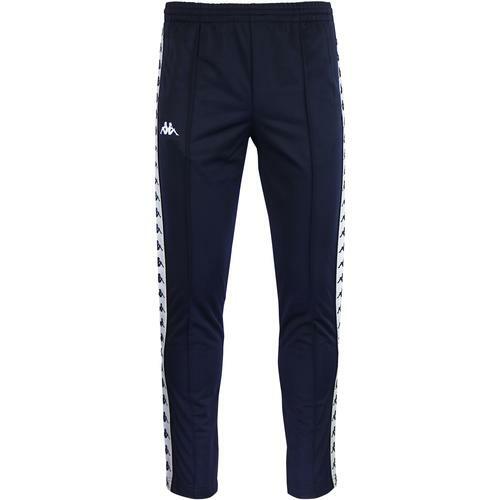 Sergio Tacchini 'Young Line' men's retro tracksuit bottoms in navy. A name synonymous with 80s Casuals culture, 'Young Line' by Sergio Tacchini is a tracksuit that found fame on the tennis courts courtesy of the legend, John McEnroe. 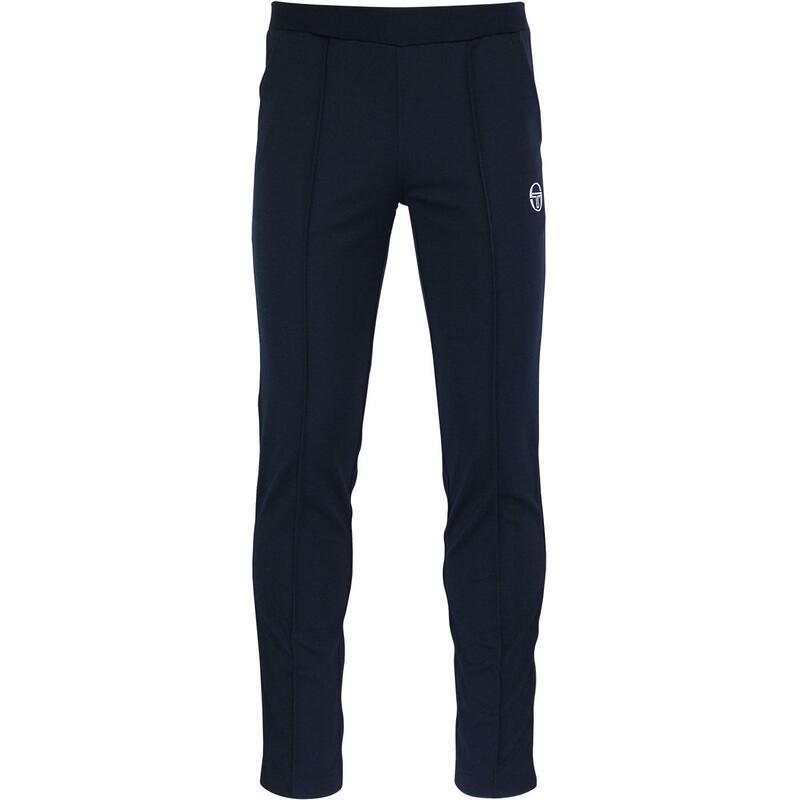 These stylish plain navy textured tricot track bottoms feature Sergio Tacchini embroidery, 2 slant side pockets and classic elasticated waistband. The retro front and back pleat details add the finishing touch to this 80 Casuals and terrace wear classic. Young Line Serguo Tacchini track bottoms can be teamed with the matching 'Young Line' retro funnel neck track jacket. 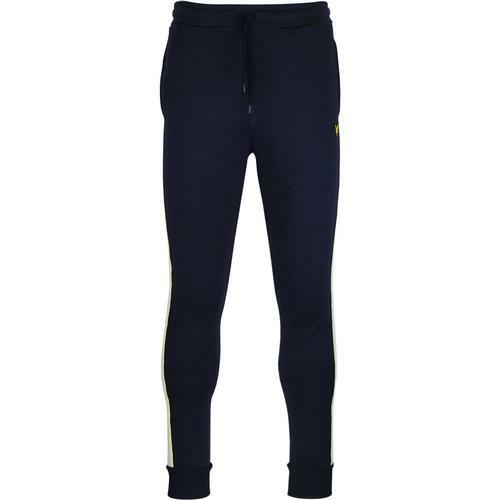 Sergio Tacchini Young Line Tracksuit Bottoms in navy. Front and back pleat details. 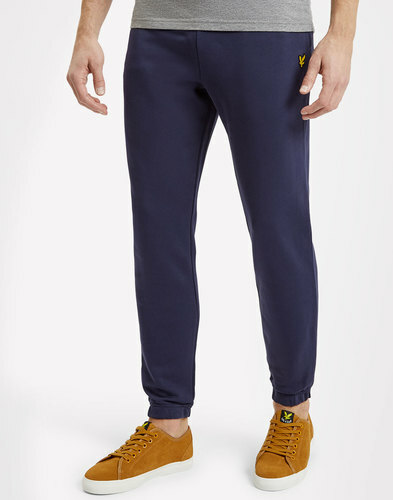 SKU: 37706 Young Line Track Bottoms.